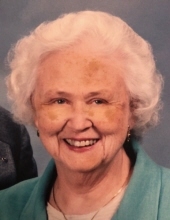 Shirley E. Kenning of Birmingham died February 4, 2019. She was 95 years old. Shirley was born August 21, 1923 in Minneapolis, Minnesota to Petranella (nee Rasmussen) and Albert Petersen. She received her Bachelor’s Degree with honors from the University of Minnesota in 1945. On June 22, 1946, Shirley married Bob Kenning. Together they raised three sons, Jim, Steve, and Tom. Shirley obtained her license as a registered Medial Technologist and worked in Santa Barbara, California, Minneapolis, Minnesota and Lansing, Michigan. She returned to school in 1973 at Mercy College in Detroit where she upgraded her laboratory skills. Upon graduation Shirley took a job with the Southeastern Michigan American Red Cross from 1976-1980. Always active in her church, Shirley directed the choir at Faith Baptist Church in Royal Oak for six years and taught a Ladies Bible class there for 29 years. She worked as a FISH Volunteer in Oakland County as both a driver and telephone scheduler for 17 years and took blood pressures for the Birmingham Senior Service Center from 1980-2016. Shirley was an excellent seamstress who made many of her own clothes as well as beautiful quilts. She learned smocking and made dresses and bonnets for her grandchildren. She enjoyed cooking and entertaining and was good at both. People always felt welcome in Bob and Shirley’s home. She also enjoyed organizing outings with friends for cultural events and trips. For many years, Bob and Shirley traveled across the country in their customized Ford van. They also traveled internationally to Europe, including Norway, Sweden, Germany, and Russia. Shirley was always an ardent cheerleader and sage for each of her children and grandchildren. She was deeply loved and will be greatly missed. Shirley is survived by her beloved husband, Robert Kenning and sons, Jim (Kitty) Kenning, Steve (Patricia) Kenning, and Tom (Melanie McCoy) Kenning. She is also survived by her grandchildren, Kristin (Brian Viliunas) Kenning, Sarah (Ry) Charters, Robert (Leigh Ann) Kenning, Katherine (Jeremiah Baker) Kenning, Kristine (James Dye) Kenning, Doug Kenning, and Mary (Jay Swinson) Kenning and great-grandchildren, Robert, Maddilyn, Shyloh, Jack, Willow, and Penny. Friends may visit at Lynch & Sons Funeral Home, 1368 N. Crooks Road (between 14-15 Mile Rds.) Friday, February 8th, 3-7pm. A Funeral Service will be held at Highland Park Baptist Church, 28600 Lahser Road, Southfield, Saturday, February 9th at 11am. Friends may visit at church beginning at 10am. Memorials may be made to Highland Park Baptist Church Missionary Fund, 28600 Lahser Road, Southfield, Michigan 48034. "Email Address" would like to share the life celebration of Shirley E. Kenning. Click on the "link" to go to share a favorite memory or leave a condolence message for the family.